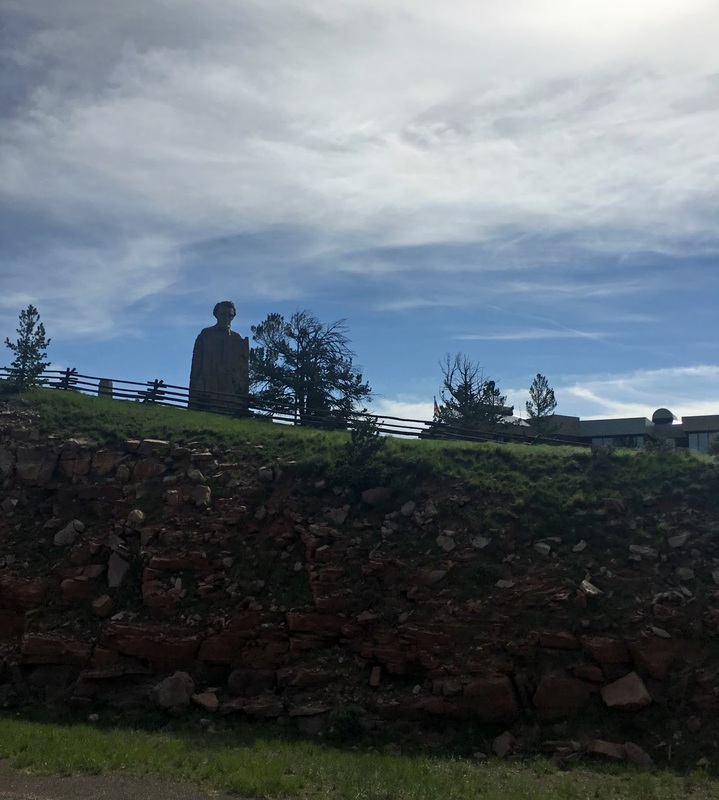 The sculpture of Abraham Lincoln sits high atop Interstate 80 in Laramie, Wyoming. The bust of Lincoln is 12 1⁄2 feet high and sits on a 30-foot tall granite pedestal. "The head was built by Wyoming's Parks Commission to honor Lincoln's 150th birthday. It was sculpted by Robert Russin, a University of Wyoming art professor and a Lincoln fan. When he died in 2007, his ashes were interred in the hollow monument." "Originally the bust was located at the highest point on the Lincoln Highway from New York to San Francisco. “The grandeur of the landscape recalls the nobility of his soul,” Russin wrote referencing President Abraham Lincoln. The bust was transferred to its present site beside of Interstate 80 after that highway was finished in 1969. An estimated 200,000 travelers view the monumental sculpture annually." 2008: Show Her A Big One!